The Department of Justice (DOJ) announced Thursday that it was charging a North Korean programmer in the 2014 Sony hack, last year's "WannaCry" malware attack and a 2016 theft from the Bangladesh Bank. The department lodged criminal charges against Park Jin Hyok, a North Korean national who works for the company and allegedly belongs to a group of conspirators known as the Lazarus Group. Besides the 2014 cyberattack on Sony Pictures Entertainment, Hyok has also been implicated in the 2017 WannaCry 2.0 global ransomware attack; the 2016 theft of $81 million from Bangladesh Bank; and other attacks on financial services, defense, technology, and virtual currency industries, academia, and electric utilities. It details how the group used multiple Gmail accounts and went to some lengths to cover their tracks but left a series of electronic breadcrumbs that ultimately led to the hackers and an email account that North Korean government officials were also seen to be using, making the connection to the government. The FBI said the group has targeted, and continue to target, other victims and sectors, including defense contractors, university faculty, technology companies, virtual currency exchanges, and USA electric utilities. Regarding the movie The Interview, the Federal Bureau of Investigation said the North Koreans stole a copy of film but instead of releasing it on the internet, the copay was "rendered inoperable" in a bid to prevent release. "The North Korean-backed conspiracy attempted to crush freedom of speech in the USA and the U.K. It robbed banks around the world". Specifically, Park has been charged with one count of conspiracy to commit computer fraud and abuse, and one count of conspiracy to commit wire fraud. 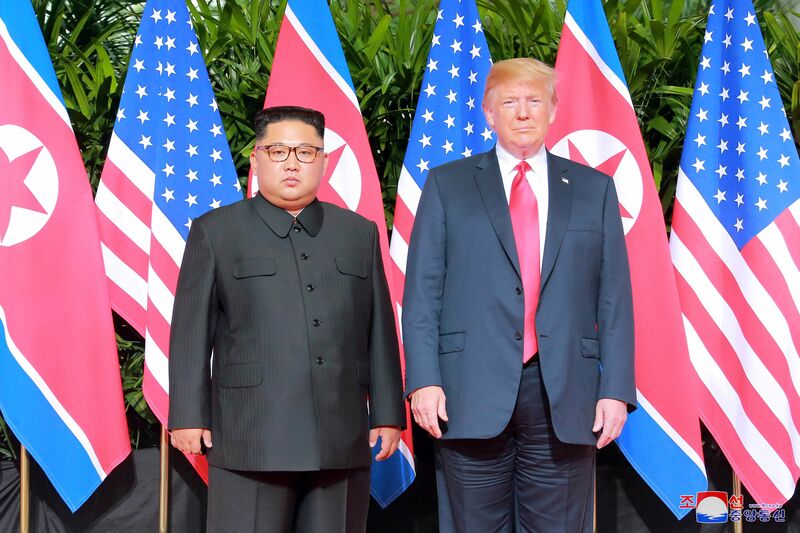 There has been no communication between the United States and North Korean government about a possible extradition, the official said. The Trump administration did impose other punitive measures on Park and his employer on Thursday: the Treasury Department says it has sanctioned him and Korea Expo Joint Venture. The attacks happened after the regime sent a letter to the United Nations, demanding that Sony didn't release the movie "The Interview",. which portrayed the USA -backed assassination of a character made to look like North Korean leader Kim Jong-un. According to the 176-page indictment, Park worked for Chosun Expo Joint Venture, a company tied to a North Korean military intelligence unit called Lab 110. Prosecutors said Mr Park was believed to be in North Korea. The U.S. believes he was working for a North Korean-sponsored hacking organization. In other cases the hackers created email accounts in the names of recruiters or high profile execs at one company (like a USA defense contractor), and then used the accounts to send bogus recruitment messages to employees of competitor companies. The Trump White House also announced a year ago that it believed North Korea was behind for the WannaCry attack, which spread rapidly through hundreds of thousands of computers in more than 150 countries last May. Investigators discovered his CV and tracked his activities.